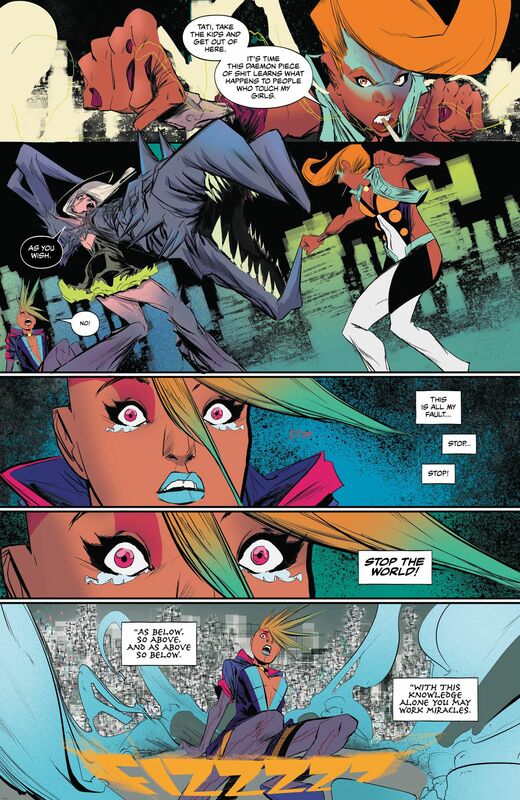 DC Vertigo’s Goddess Mode promised “a near future where all of humanity’s needs are administered by a godlike A.I.” and “a group of super-powered women and horrific monsters locked in a secret war for the cheat codes to reality.” In its first three issues, Zoë Quinn and Robbi Rodriguez’s series has shown a real commitment to that concept. 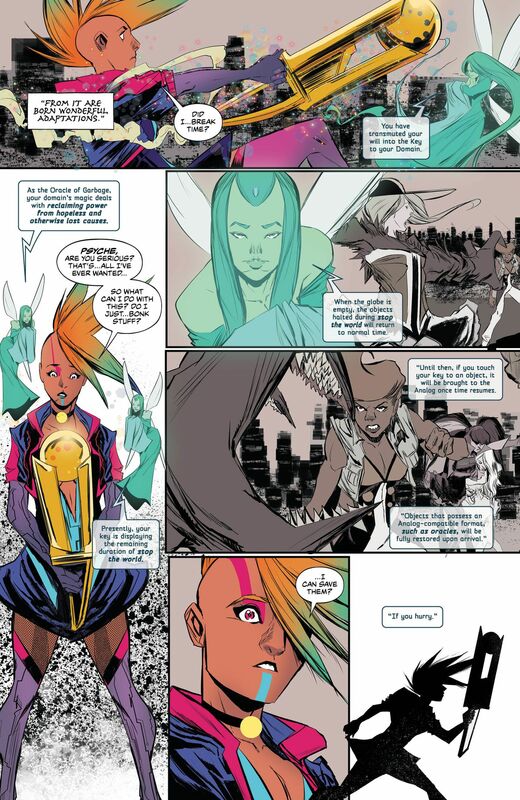 Goddess Mode is about superheroes whose powers are a reflection of the world of computing — and everything that can go wrong when code meets good old human culpability. Cassandra Price is a low-level programmer in a cyberpunk dystopia where every person’s extensive digital life is managed by the same networked AI. One shady job offer later and she’s swept into Azoth, a virtual realm with deadly consequences. 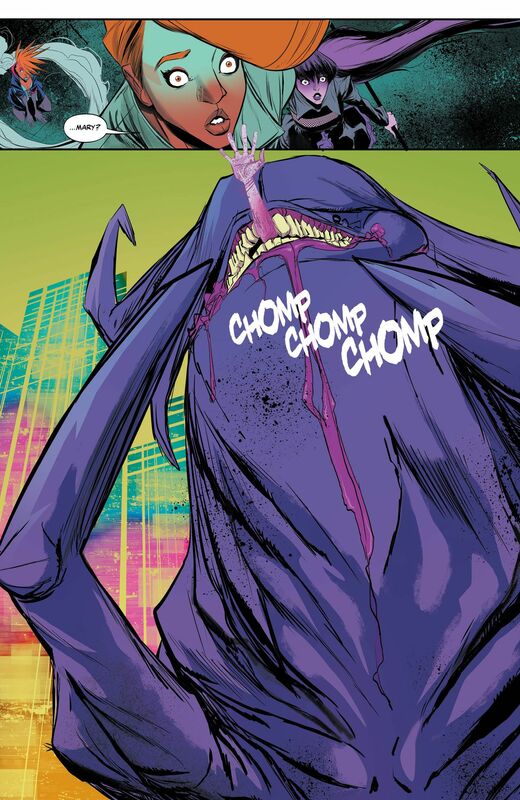 She meets its guardians, three Oracles who call themselves the Tall Poppies, and finds out that she’s the “Oracle of Garbage.” She could also have the power to defeat the monsters of Azoth, provided she can harness it before one of them eats her. 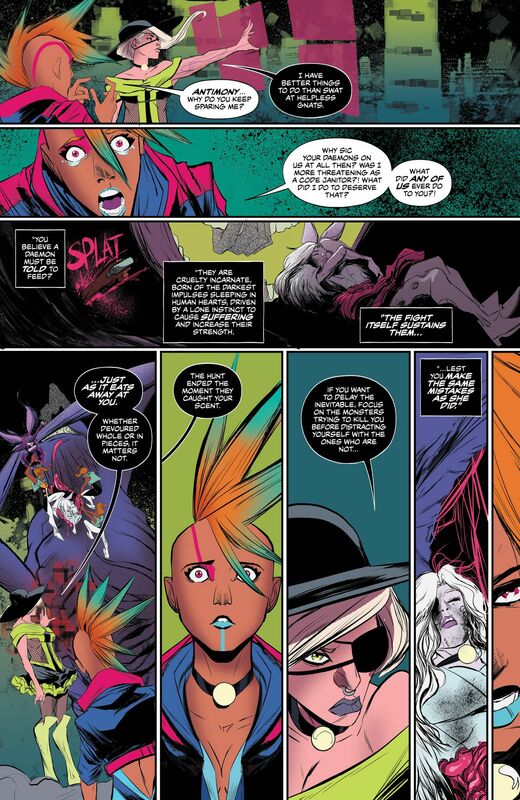 In Goddess Mode #3, we finally find out exactly what an “Oracle of Garbage” does; and courtesy of DC Comics, Polygon can exclusively preview that moment right here, with commentary from writer Zoë Quinn. As we begin, the villain Antimony has summoned a monster — a daemon — that has swallowed one of Cassandra’s new friends whole. 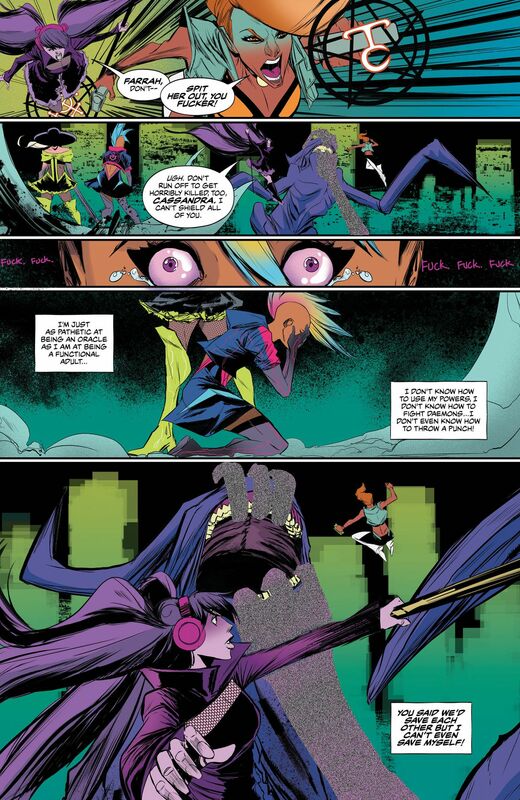 Goddess Mode expresses a deep love for the magical girl genre. What do you consider to be your biggest influences on the tone and style of the story? 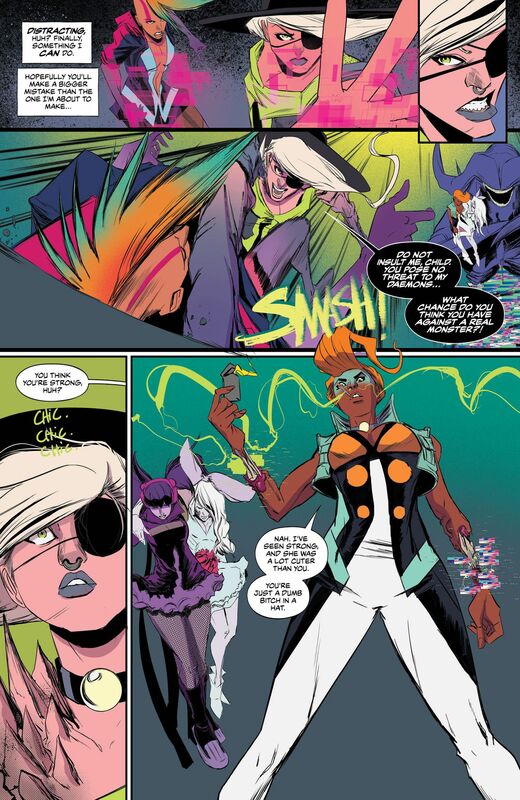 The biggest influences on Goddess Mode’s tone and style are kinda all over the place when it comes to the magical girl genre. The hope and optimism through the bleakest situations is something I love from almost all magical girl stories, but the biggest chunk of Goddess Mode’s DNA probably comes from the unlikely heroics of an under prepared protagonist—from Sailor Moon, and the more grounded, juggling monsters with bills and being a bit tongue in cheek about the whole situation of Buffy the Vampire Slayer. How did you arrive at “stops time” as the power for the Oracle of Garbage/Lost Causes? So I wanted to design a really original system of magic for Goddess Mode that mixes alchemy and computer science — Cassandra’s powers come from the Garbage domain, which kinda comes off like a joke, but is actually a really cool and particular computer science thing. Garbage Collection is a process that reclaims unreachable, unused, or disconnected bits of a system to make it healthier and more functional. Stop the World in particular is a type of garbage collector that halts everything else in the system so it can do its job, but there are a lot of other approaches and ways of going about it. The Domains in Goddess Mode are kinda like elements — so each Oracle isn’t limited to one specific ability, this is just the first one we’re seeing from Cassandra. She’ll uncover more as she grows into her own as an Oracle. 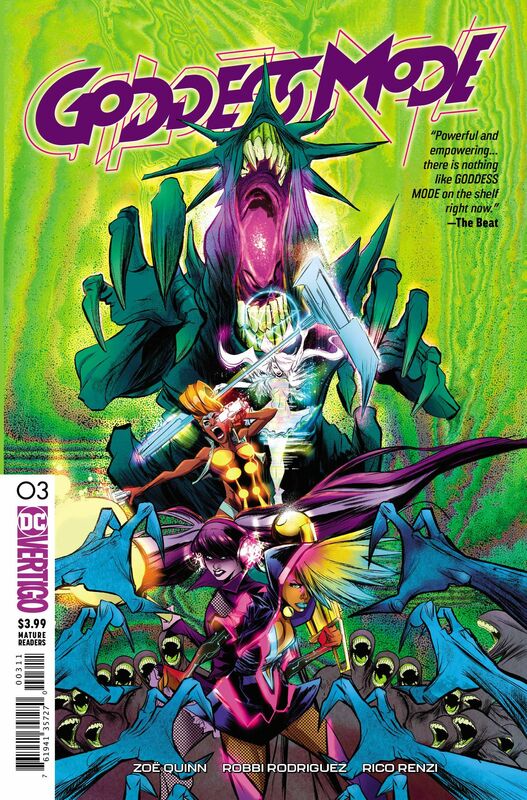 The full cover of Goddess Mode #3. Goddess Mode #3 hits shop shelves and digital retailers on Feb. 12.